When Patrick Medhurst-Feeney walks to the crease with a bat in his hands, everything goes quiet. “Before a match my brain is going nuts,” he says. “I am looking for danger, looking for anything that is not right. It’s what I was trained for. “As soon as I step on to the cricket pitch, all that goes away. Patrick joined the Army at the age of 19, and was posted to his first tour of Afghanistan in 2011 as a veterinary technician. Just weeks after the operation ended, during an adventure training exercise in Germany, he suffered a severe back injury. After two years of physiotherapy he was deployed again, this time as a vehicle search dog handler. He was transferred to the Queen Elizabeth Hospital in Birimingham, and eventually back to Plymouth. But as his physical scars healed, Patrick realised he was suffering from a different sort of trauma. “My second night back home was firework night,” he says. 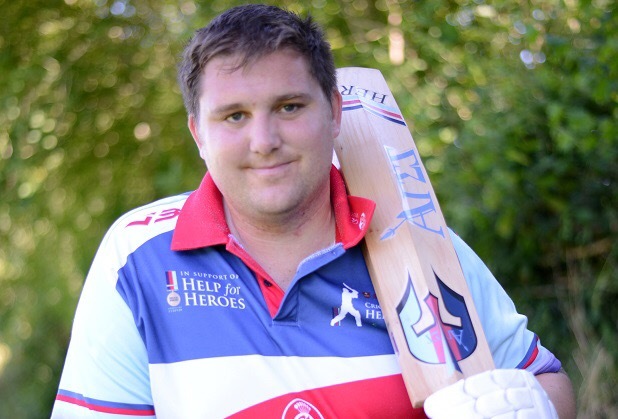 He was diagnosed with post-traumatic stress disorder and referred to Help for Heroes at HMS Drake. 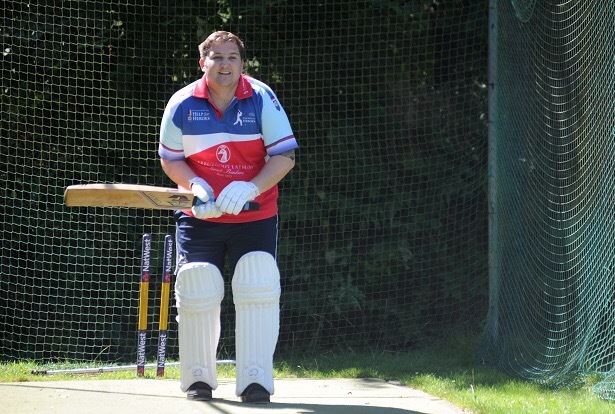 Embarking on the long road to recovery, he discovered the charity was looking to form a cricket team. “I thought I would give it a go,” he says. These days Patrick is a popular member of Yelverton Bohemians, a village club in the Devon league with three thriving teams and a picturesque ground off the A379. 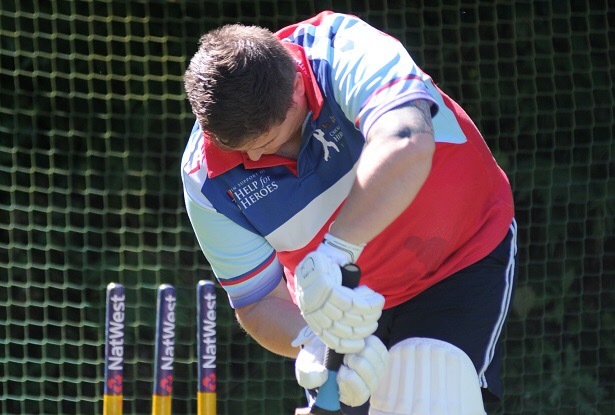 He has re-modelled his batting technique and accepted his physical limitations – the league authorities have even amended the rules to fit him in. “I’m not able to run, so I rely on a runner when I’m batting,” he says. “Usually you can only have a runner if you’ve hurt yourself during the game, but they made an exception. One of Patrick’s team-mates says he took a blinding slip catch during a friendly game last weekend. He admits old habits die hard. “That part of my cricket brain tells me I can still dive around,” he says. Patrick says the unique nature of cricket makes it a perfect fit for his recovery. “If you don’t focus on the ball you get hit, and it bloody hurts,” he says. “I can stand out there for a whole afternoon and not do anything, but because I am focusing on the ball, and what everybody is doing, I shut my brain off from worrying about what is around me. “It makes me feel happy and relaxed. After a game I have two or three days of a mental high. The social side of the game is just as important as what happens in the middle, he says. “It’s one of the big things I have missed since I left the Army. You’re always part of a unit, part of a group. When I got injured I lost that. Yelverton coach Chris Cottrell says Patrick is an inspiration. “He is just absolutely fantastic,” he says. “He’s a lovely lad. I know he’s been through his dark times, but this is bringing him back out into the light. Check out Patrick’s blog, The Crippled Cricketer, at thecrippledcricketer.wordpress.com. This article was first published in the Plymouth Herald. Pictures by Penny Cross.